Facebook just announced they've bought Instagram for around $1B. @PatrickMoorhead received a text message from his daughter which I'm sure reflects the opinions of so many other 12 year olds around the world... Myself included. I wonder if this is the first 'move' not fully guided by The Zuck? It feels too business-ey, too strategic. 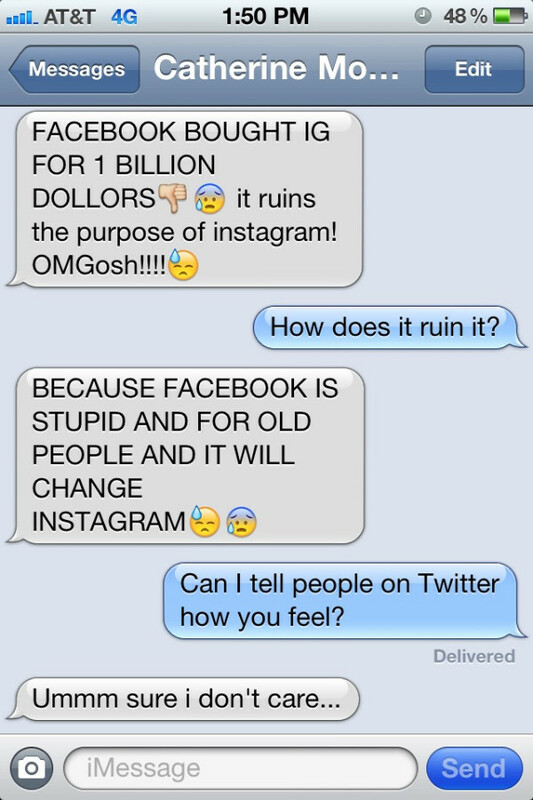 The business minded amongst us understand Facebook bought Instagram so they could rule the photo-sharing roost. 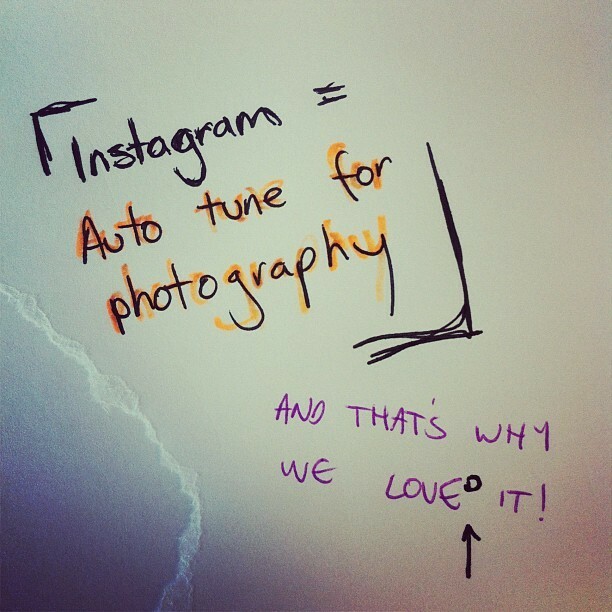 However Instagram users love this app more than their favourite 'wacky graphic designer-type' uncle. Everyone got a bit upset about updating to Facebook timeline. But don't you go messing with my Instagram, man.